Qualcomm has posted security bonds worth €1.34 billion to a German court, paving a way for a partial sales ban of some iPhones in the country. Apple is appealing the decision but said it would remove all iPhone 7 and iPhone 8 units from its own retail stores should Qualcomm post the bonds, which will be used for compensation should the appeal be successful. However, Apple has given no indication it will recall the devices from its partners. It did not respond to requests for comment from TechRadar Pro. The latest development forms part of a wide-ranging row between the two companies. Qualcomm has frequently claimed Apple has violated its patents, while Apple says Qualcomm is abusing its dominant position in the market and charging extortionate fees. Qualcomm’s modem technology has been used in several iterations of the iPhone, but since the iPhone 7, Apple has diversified its supplier base, using Intel chips in some handsets. However, Qualcomm believes its modems have been completely eliminated from the most recent iPhones, a belief that is supported by independent teardowns. Earlier in December, a Chinese court banned the import and sale of several older iPhone models in the country after Qualcomm’s request for an injunction was granted. 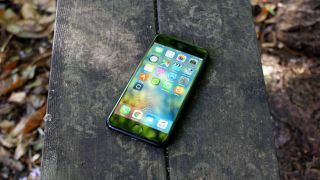 The devices affected are the iPhone 6S, iPhone 6S Plus, iPhone 7, iPhone 7 Plus, iPhone 8, iPhone 8 Plus and iPhone X. Apple’s latest trio of handsets – the iPhone XS, iPhone XS Max and iPhone XR – are not affected because they were released after the injunction was filed. Reports at the time suggested that all affected devices were still on sale in the country.